Additional side-effect monitoring is no longer required for the smoking cessation treatment varenicline (Champix), after a large multinational trial showed that the drug did not significantly increase the risk of neuropsychiatric events compared with nicotine patches or placebo. 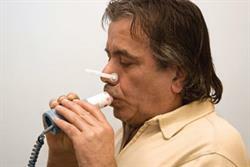 Varenicline was also found to be more effective than bupropion, nicotine patches and placebo in helping people quit. The double-blind EAGLES trial, run by Pfizer and GlaxoSmithKline at the request of the US FDA and the EMA, involved 8144 motivated-to-quit smokers, split between those with and without psychiatric disorders. Participants were randomly assigned to receive placebo, nicotine patches (21mg/day), varenicline (1mg twice daily) or bupropion (150mg twice daily) for 12 weeks, with a 12-week follow-up period. In the participants without psychiatric disorders, rates of moderate to severe neuropsychiatric events were 1.3% in the varenicline group, 2.2% in the bupropion group and 2.5% in the nicotine patch group, compared with 2.4% in the placebo group. Corresponding rates in the cohort with a history of psychiatric disorders were 6.5%, 6.7%, 5.2%, and 4.9%, respectively. None of the risk differences for varenicline or bupropion relative to placebo or nicotine patches were significant. The most frequent adverse events by treatment group were nausea (25%, varenicline), insomnia (12%, bupropion), abnormal dreams (12%, nicotine patches), and headache (10%, placebo). Varenicline-treated participants achieved higher abstinence rates than those using nicotine patches (odds ratio [OR] 1.68, 95% CI 1.46–1.93) or bupropion (OR 1.75, 95% CI 1.52–2.01). In light of the EAGLES data, the black triangle symbol has been removed from the labelling of Champix, meaning that GPs are no longer required to report all adverse reactions occurring with use of the product. Only serious suspected adverse reactions should continue to be reported via the Yellow Card scheme. "Smoking remains a major public health challenge in the UK, with millions continuing to smoke despite it being the number one cause of preventable death. For those who are serious about quitting, healthcare professionals are best placed to offer them the support and most appropriate treatment option to help them, based on the growing body of scientific evidence," said Robert West, Professor of Health Psychology at University College London and co-author of the EAGLES study. "The results from EAGLES and the varenicline label update should further reassure doctors and patients about the safety and effectiveness of medicines to help smokers to stop." The Champix SPC has been updated to reflect the results of the EAGLES study and to indicate that depressed mood, rarely including suicidal ideation and suicide attempt, may be a symptom of nicotine withdrawal. 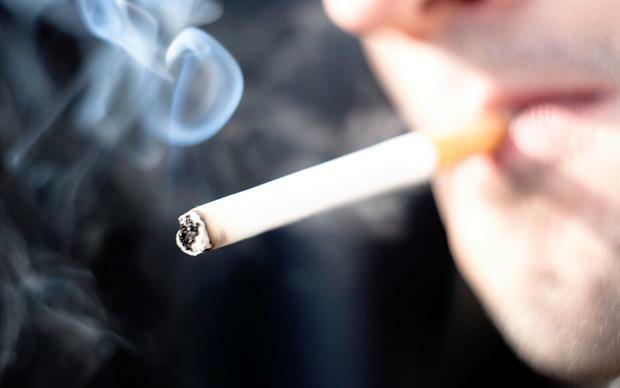 Clinicians should be aware of the possible emergence of serious neuropsychiatric symptoms in smokers attempting to quit with or without treatment. If serious neuropsychiatric symptoms occur whilst on varenicline treatment, patients should discontinue varenicline immediately and contact their healthcare professional. Care should be taken with patients with a history of psychiatric illness and patients should be advised accordingly.